Timothy Bloodworth is a little known Founder who almost kept North Carolina out of the Union. Timothy Bloodworth was born into a lower class North Carolinian family. As a young man he held a large number of jobs. At times, he was everything from teacher to tavern keeper to blacksmith. Although Bloodworth was not a well-educated man, his ability to help his neighbors with many different things added to his charismatic personality and led to his election to the General Assembly. He would remain in this position for 35 years. 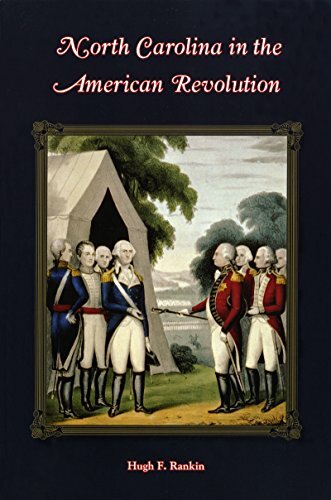 As the American Revolution was getting underway, Bloodworth used his metalworking skills to make weapons for the Continental Army. Bloodworth would attend the Continental Congress for two stints after the Treaty of Paris was signed. His real contribution to the founding of the United States, however, came during debates on the ratification of the Constitution. In the summer of 1788, Bloodworth attended the Hillsborough Convention. As a leading Anti-Federalist, he was a major player in bringing the North Carolina delegates to a stalemate. The delegates voted to adjourn the meeting without choosing to whether or not to ratify the constitution. What is strange about this decision made at Hillsborough is North Carolina’s opinion no longer mattered. Nine States had already ratified the Constitution, making it the new law of the land. Additionally, New York and Virginia had also approved the new government. North Carolina and Rhode Island were the only holdouts. In November of the following year, North Carolinian delegates met again, this time in Fayetteville. Timothy Bloodworth still did his best to prevent ratification of the Constitution. This time, however, the writing was on the wall. The United States in Congress Assembled had begun to meet under a Federal Government. George Washington had already taken the oath of office and was sitting as President. With the country moving forward, Bloodworth’s efforts were unsuccessful and North Carolina ratified the Constitution. Just to make sure the new government didn’t overstep its bounds, Bloodworth’s constituents sent him as a representative to the First Congress. He was an early member of the Democratic-Republican Party which arose in opposition to Alexander Hamilton’s Federalists. Bloodworth usually voted along his party line, but notably made appointment recommendations to Washington that were considered and followed. Despite fighting those in power at every turn, eventually he was elected to the United States Senate. Timothy Bloodworth, an uneducated blacksmith, was a leader in the same Federal Government he had fought so hard to prevent. 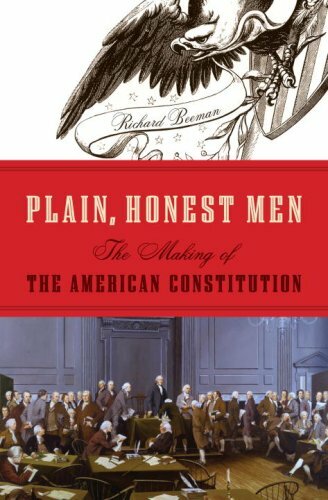 I've placed 'Plain, Honest Men' below because I am rereading it and it is really the one of the most digestible accounts of the Constitutional Convention I know of. I highly recommend it. The links below go to Amazon. We are an affiliate of theirs so we get a small commission but it is at no extra cost to you.